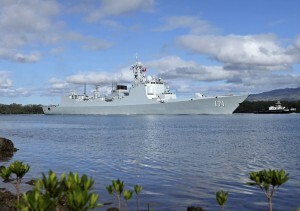 On June 26th, one of the world’s largest and most significant naval exercises began in and around Hawaii. Rim of the Pacific (RIMPAC) is a biannual event led by the United States Navy and usually involves maritime forces from more than n Pacific countries, including Canada. Although the exercises have been held consistently since 1971, this year’s edition promises to have an unprecedented impact on military and strategic affairs in the Asia-Pacific region. 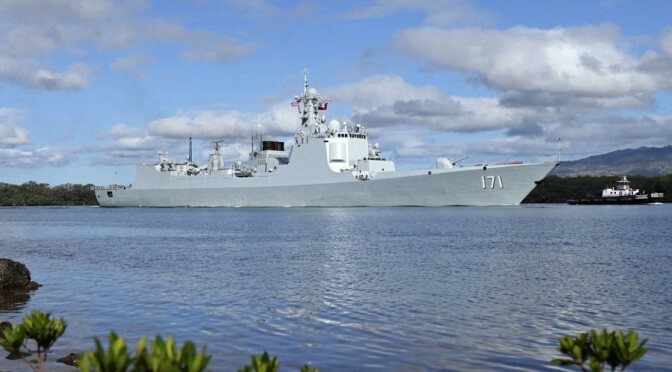 Of particular note, 2014 marks the first time China participates in RIMPAC. 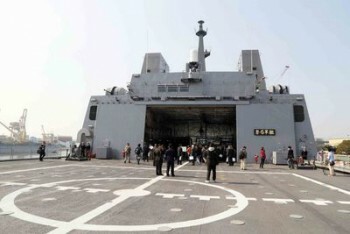 Previous editions have involved regional neighbours, like Japan and South Korea, but curiously excluded the People’s Liberation Army Navy (PLAN). 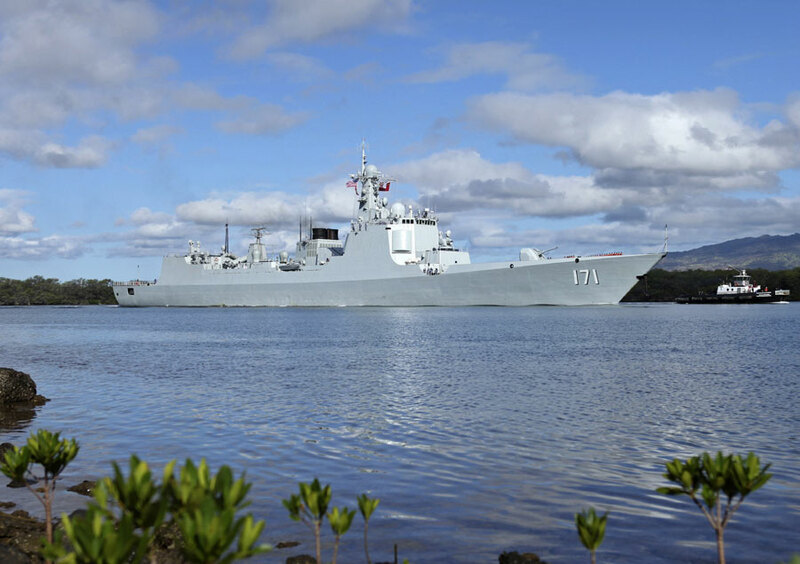 Early this year, as planning was underway for the upcoming edition of RIMPAC, the US extended an invitation to China for the first time. 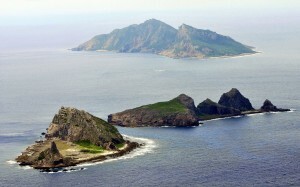 However, the fallout from the Shangri-La Dialogue in Singapore on May 31-June 1 left considerable doubt that China would accept the invitation. It therefore came as a surprise when China formally accepted the invitation one week after the heated debate in Singapore. In a move that could help reduce regional tensions, four PLAN vessels have participated in the exercise, serving alongside ships from other participating countries, like Japan, the Philippines, and Canada. This is also the first RIMPAC exercise for the small Southeast Asian state of Brunei. The Royal Brunei Navy is a rather small force, especially in comparison to the impressive naval might of nearby Singapore, but it has contributed two off-shore patrol vessels. 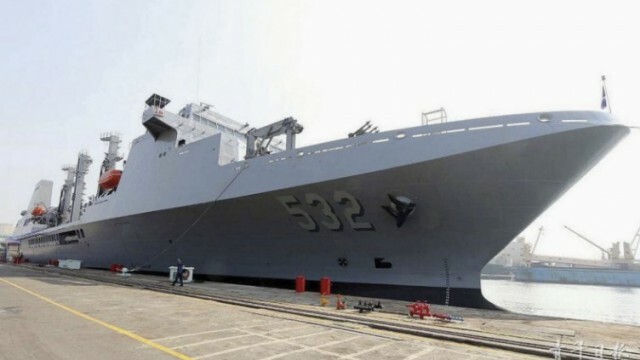 These smaller ships, the KDB Darussalam and KDB Darulaman, are also Brunei’s newest acquisitions and so RIMPAC is viewed as an opportunity to test out their capabilities in simulations of large-scale maritime combat operations. With Brunei, participation in RIMPAC increases among Association of Southeast Asian Nations (ASEAN) members to six out of ten, indicating a willingness by the bloc to become more actively involved in Pacific security. The four member states not participating in 2014 either lack the capacity to participate, such as landlocked Laos, or they were not invited to participate, such as the despotic regime in Burma. While China and Brunei are in this year, Russia is out. In 2012, Russian maritime forces joined RIMPAC for the first time. Three vessels took part, led by the destroyer RFS Panteleyev, which had previously served alongside NATO forces as part of Operation Ocean Shield. But with tensions rising over Russia’s actions in Ukraine, no invitation was extended to join RIMPAC in 2014. In May 2014, Russia and China held a large-scale joint naval exercise of their own in the East China Sea, but Russia has otherwise been left isolated in Pacific military affairs since the Crimean crisis. Aside from supplying Vietnam with new submarines and other vessels, Russia has scant opportunities to build security ties with the countries of Southeast Asia, stalling any effort by Vladimir Putin to pivot eastward. This suggests that any ‘soft power’ influence Russia may have had is now in severe decline, with many governments in the region reluctant to trust or engage with Putin. RIMPAC 2014 is also a significant opportunity for Canada to demonstrate its capacity to become a major player in the Pacific. 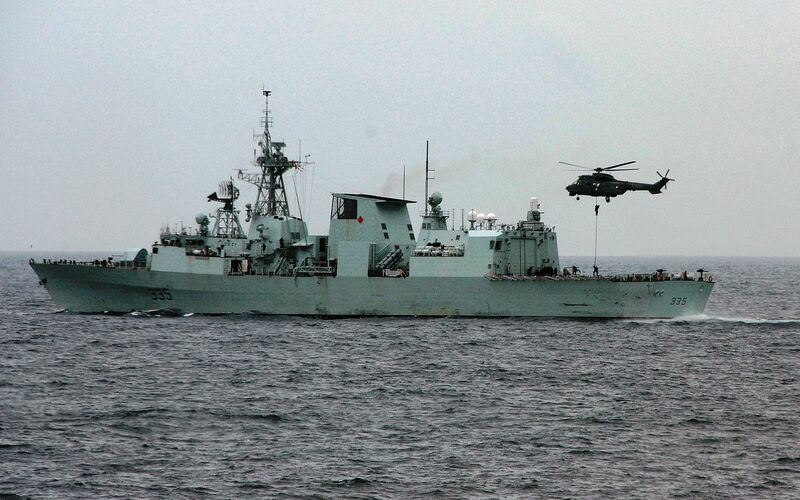 This has clearly not been lost on Canadian defence officials as there is a considerably increased contribution from Canada as compared to 2012, despite the fact that many Royal Canadian Navy vessels are either undergoing repairs or are being retrofitted. This time, Canada’s fleet is led by the HMCS Calgary, a Halifax-class frigate, joined by a Victoria-class submarine and two Kingston-class patrol vessels. As RIMPAC is a combined arms exercise, Canada has also sent an infantry company from the Third Battalion, Princess Patricia’s Canadian Light Infantry to act as marines, while a Royal Canadian Air Force component will be deployed that includes eight CF-18 Hornets. 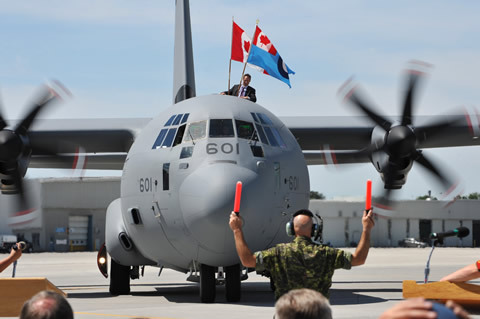 By involving all three elements of the Canadian Forces, it will be possible to demonstrate Canada’s ability to participate meaningfully in a multilateral intervention in the Pacific. As tensions between countries in the Asia-Pacific region are enflamed, discussion surrounding the potential for a Pacific equivalent to NATO occasionally surfaces. By showing leadership through RIMPAC and developing interoperability with countries ranging from Brunei to China, Canada secures a place at the table for itself in case those discussions ever turn serious. Paul Pryce is a Research Analyst at the NATO Council of Canada and CIMSEC’s Director of Social Media. With degrees in political science from universities in both Canada and Estonia, he has previously worked as a Research Fellow at the OSCE Parliamentary Assembly and an Associate Fellow at the Latvian Institute of International Affairs. His research interests are diverse and include maritime security, NATO affairs, and African regional integration. Any views or opinions expressed in this article are solely those of the authors and the news agencies and do not necessarily represent those of the NATO Council of Canada. This article is published for information purposes only. This post appeared at the NATO Council of Canada in its original form and was cross-posted by permission.